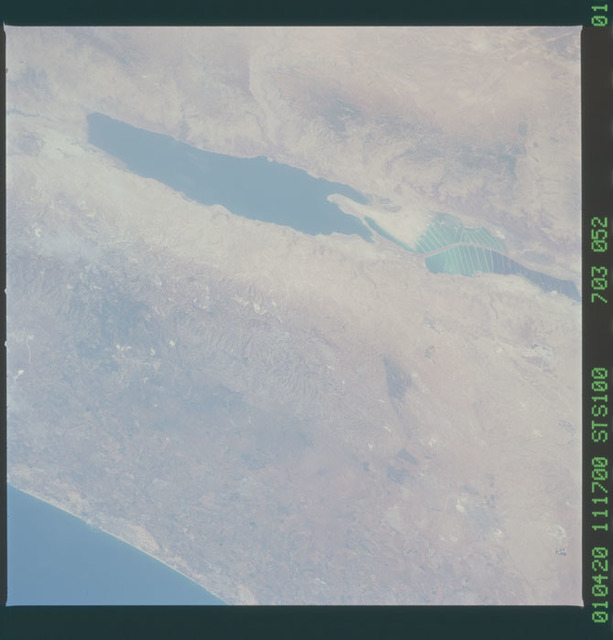 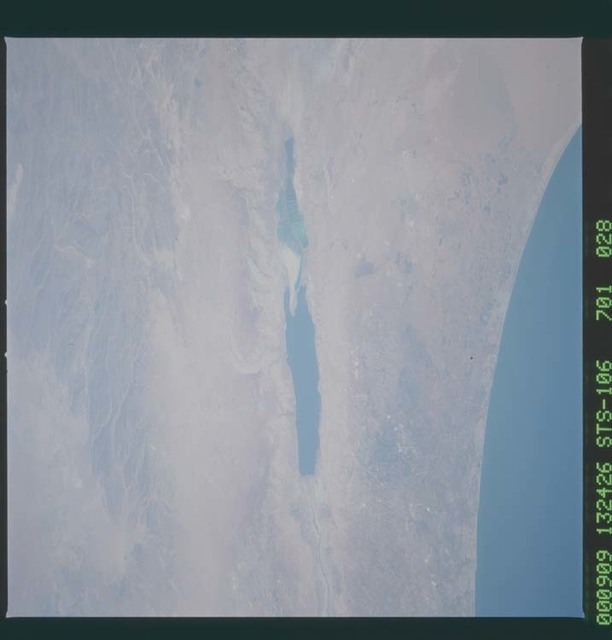 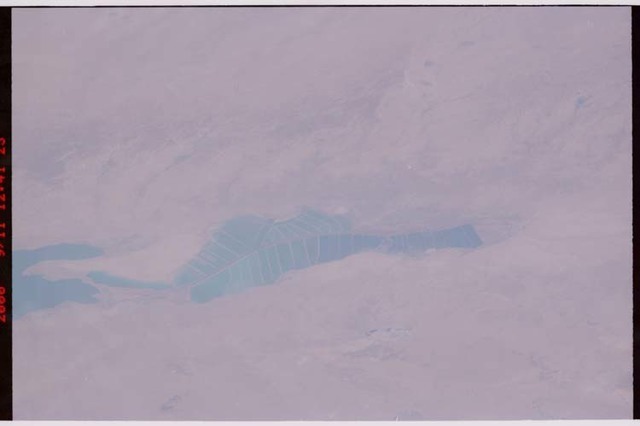 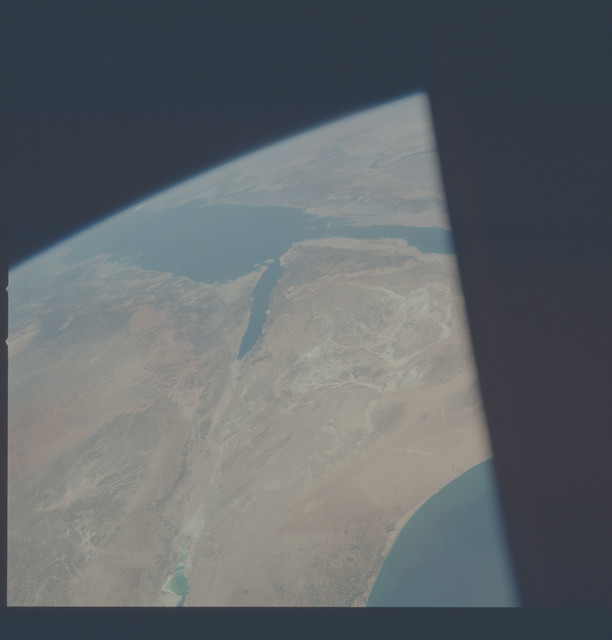 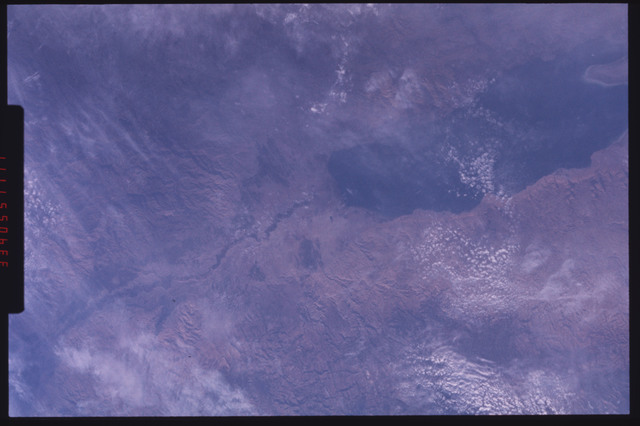 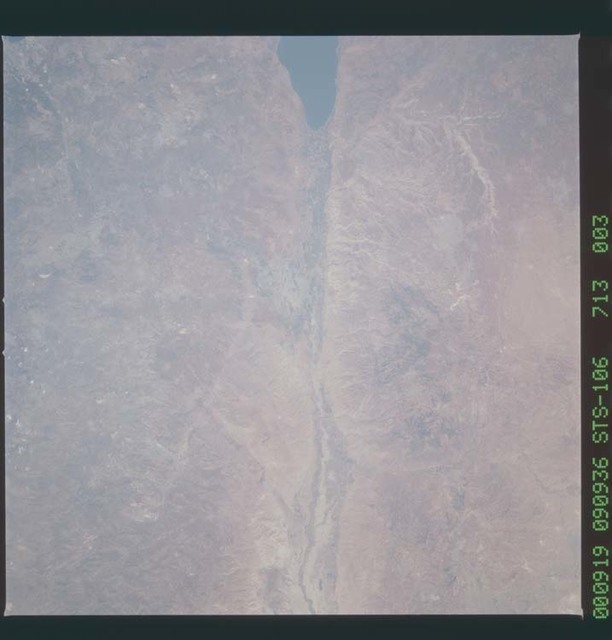 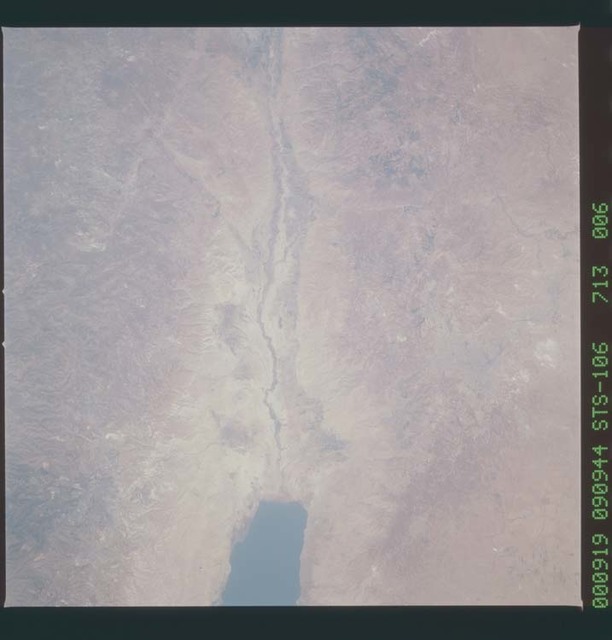 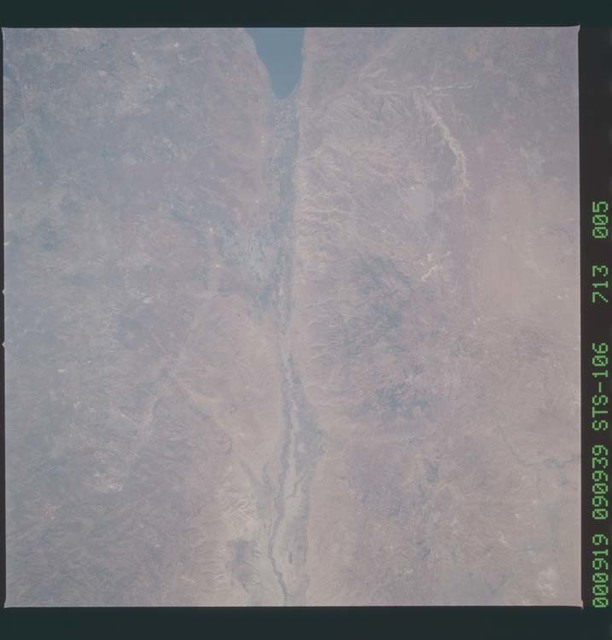 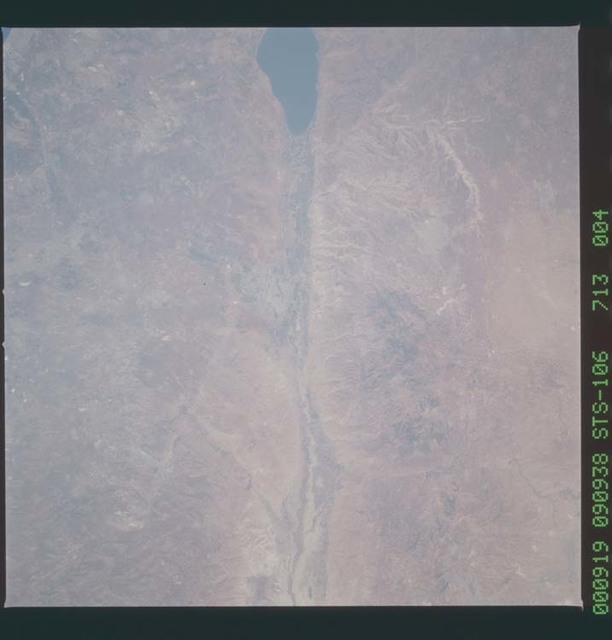 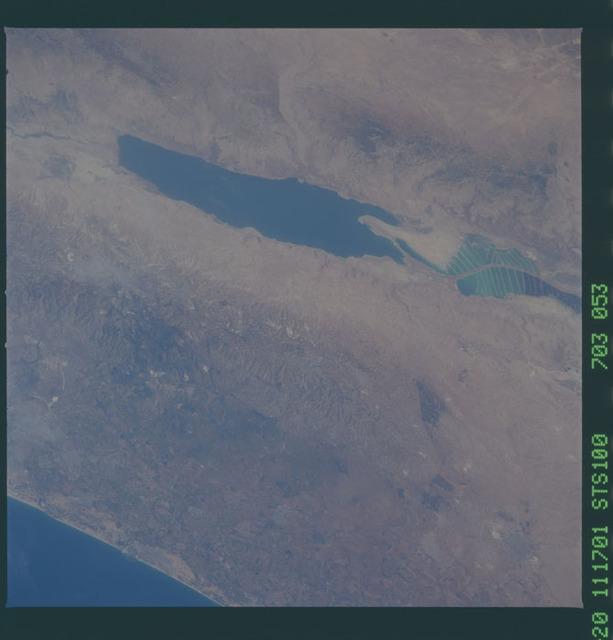 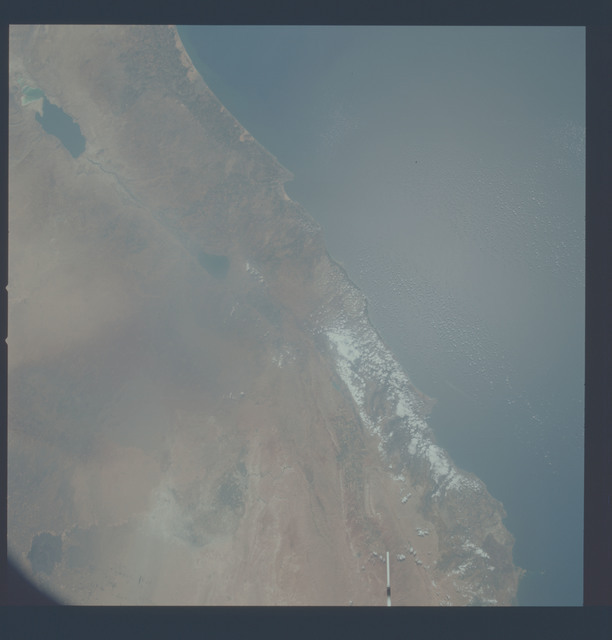 Description: Earth view of the Dead Sea and Jordan River on the Israel and Jordan border. 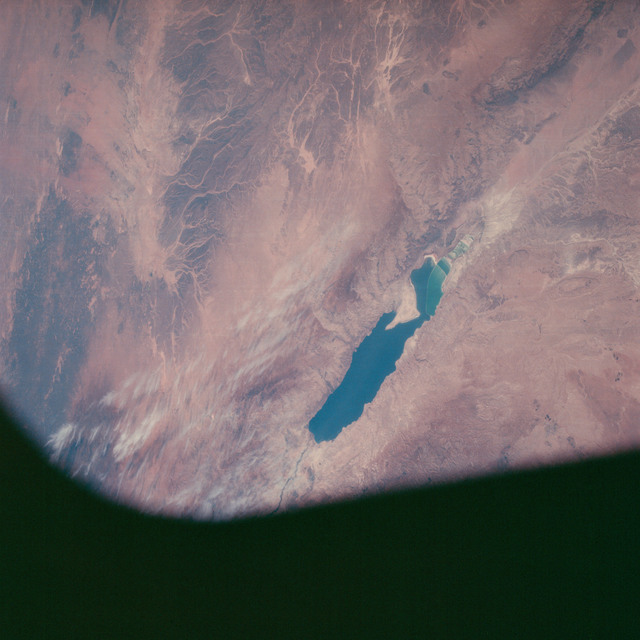 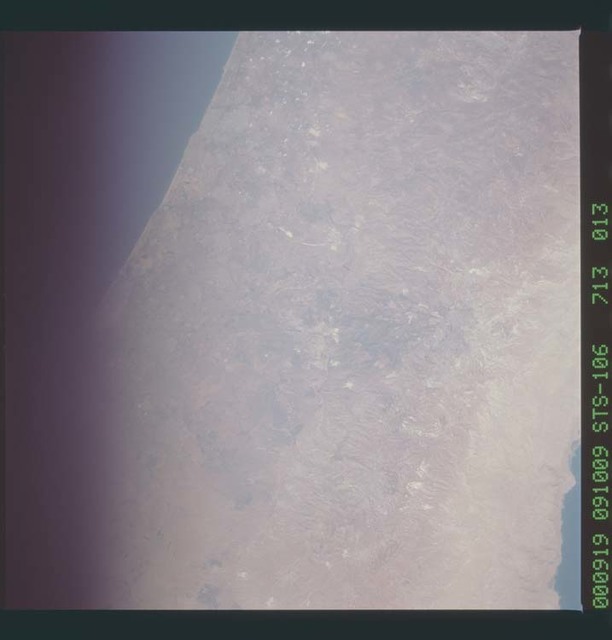 Image taken during the STS-9 Spacelab 1 mission. 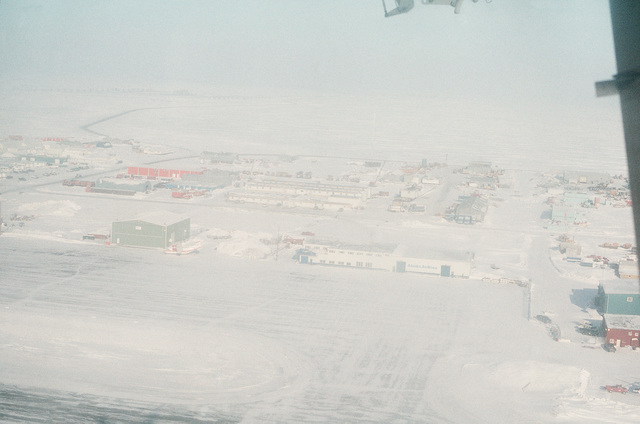 Flight Dates: 11/28/1983 thru 12/08/1983.